We love our progressive jackpot slots here at 777 Casino HQ and always try to keep track of the latest movers and shakers. Over the course of 2017, we’ve brought you the latest news regarding big winners, the hot slots that are ready to pop and even those jackpots that stubbornly refuse to pay out (we’re looking at you Jackpot Giant). One thing’s for sure, dozens of players will be toasting the new year as online casino millionaires. None of them will have expected that this time last year. Will 2018 pan out in the same spectacular fashion? We’ve said it before. 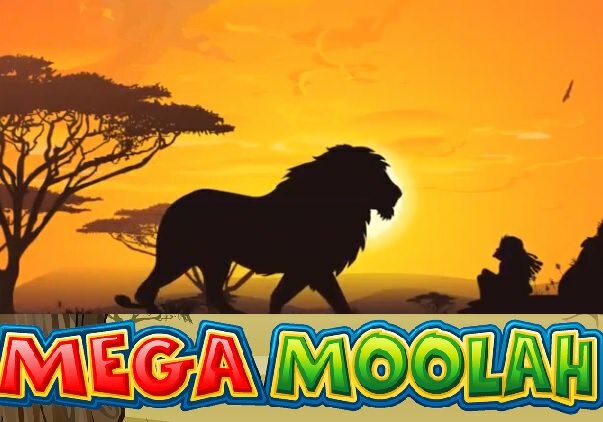 Mega Moolah is probably the most famous online slot of them all. It’s no surprise really when you consider its stats. The MicroGaming progressive jackpot game has been responsible for the both the biggest ever online casino and the biggest ever individual mobile casino win. The former weighed in at a frankly ridiculous £13.2 million back in late 2015 and remains untouched. Could Mega Moolah raise the bar in 2018? In truth, it hasn’t really come close in 2017, but let me add a caveat to that. Although it may not have topped such mammoth amounts, it has paid out more frequently. Whereas only 6 players won the Mega Moolah jackpot in 2016, 13 lucky souls have swanned off with a seven figure sum in 2017. That of course explains why the wins have been a bit smaller, if still very sizeable. The shorter period between wins gives the jackpot less time to grow. So, that’s 13 winners in 2017 compared to 6 in 2016, and the stats suggest that more people are playing Mega Moolah than ever. The average time between jackpot drops has fallen to less than 6 weeks (42 days) against the game’s lifetime, although the budding mathematicians will have calculated than 13 wins means an average of better than 1 a month in 2017. This is a significant shift in the game’s behaviour. Despite the more regular wins, the game still paid out three figures in excess of £8 million, with the £9.56 million payout back in mid March the biggest of the lot. In total, Mega Moolah has paid out £57.58 million in jackpot cash throughout 2017 and remember, the jackpot never drops below £1 million. So if your luck’s in on the game, you’ll become a millionaire. The overall payout figure just tops the £54 million that Mega Moolah dished out in 2017. We’ve no reason to believe it won’t continue in the same vein in 2018. Although Mega Moolah reigns supreme as an individual slot, NetEnt boast the best collection of progressive jackpot games in our opinion. From Hall of Gods, one of the very first slots of its type, through the Mega Fortune, which has wrestled the title for the biggest payout from Mega Moolah’s grasp in the past, they provide a wealth of millionaire making choice. Although Mega Fortune is the best known and most widely played NetEnt jackpot slot, it’s been a great year for its spin off Mega Fortune Dreams. Even though it’s nowhere near as widely available, it has outstripped its better known sibling on occasion. Arabian Nights also dropped for the first time in 12 months and promptly fell again a month later. In total, the four NetEnt progressive jackpot slots have paid out £69 million between them. Not bad eh? Will Mega Fortune Win Back Its ‘Best Jackpot Slot’ Crown in 2018? Mega Fortune has often gone toe to toe with Mega Moolah, but the latter is better known in wider circles. It remains a compelling choice for any online casino player though, and boasts some impressive stats of its own. It did fall less frequently, with 7 jackpot drops compared to Mega Moolah’s 13, but those wins still added up to some £19 million, with a top payout of £4 million for the year. That’s some way short of the eight figure sums that Mega Fortune has paid out in the past. However, the NetEnt flagship jackpot slot remains a popular choice and it will be interesting to see how it behaves in 2018. It still pays out once every 56 days on average, which is one of the most frequent hit rates of any of the progressive jackpot slots. Mega Fortune Dreams: The Dark Horse? What’s really surprised us this year is the performance of Mega Fortune Dreams. Despite the fact that it’s listed – rather bafflingly – at far few online casinos that the other NetEnt progressives, it’s paid out more in jackpot cash that Mega Fortune itself this year (just). The £20 million it has dished out has been split between six different players, with a top drop in excess of £5 million. Expect Mega Fortune Dreams to build on this success in 2018. Jackpot Giant: Who Will Finally Win the Jackpot? We got a bit bored of referring to Jackpot Giant in our various jackpot news articles. The top prize on this Playtech progressive has steadfastly refused to fall all year. Perhaps that’s less surprising when you consider that players only qualify for the jackpot when they play at the highest stake level but still, somebody has to win the jackpot soon right? Which Jackpot Will Fall First in 2018? After a stellar 2017, it’s been a fairly quiet end to the year for jackpot slots. Mega Moolah, Mega Fortune and Mega Fortune Dreams did all pop within a couple of days of each other back in mid December, but there’s been nothing since. Mega Moolah’s jackpot has grown the quickest of the three and now sits above £2 million again. But which will fall first in 2018? As ever, it’s impossible to predict but you have to be in it to win it. Dozens of new online casino millionaires will tell you that. Where to Play the Biggest Jackpot Slots in 2018? Casumo started the year on fire. A run of jackpot wins saw it labelled the lucky casino, and it just so happens to host all the jackpot games discussed in this article. That makes it a terrific choice for any jackpot chaser. Plus, it’s one of the most exciting and unique adventure casinos in the industry. Start your Casumo journey with 20 no deposit free spins and a 100% bonus with your first deposit. Captain Cook’s Casino is a MicroGaming site, so it doesn’t offer any of the NetEnt progressive jackpot slots. However, it’s welcome bonus more than makes up for that. If you deposit just £5, they will give you no fewer than 100 chances to play Mega Moolah. One player even scooped the jackpot back in March when using the incredible welcome bonus. 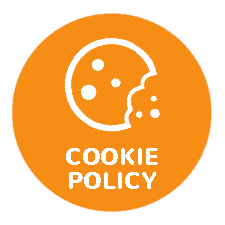 So far, Captain Cooks’ Casino has retained this offer for 2017 so if you haven’t tried it out yet, you’re yet to miss out altogether.